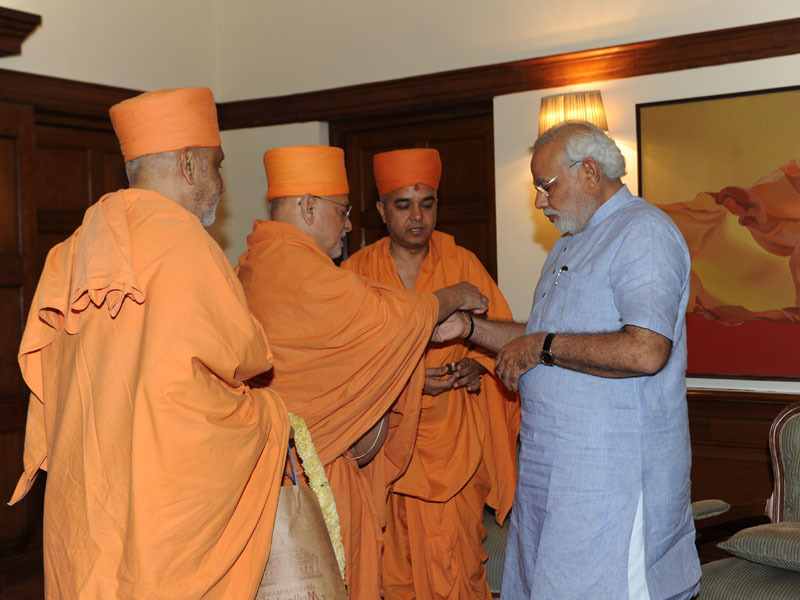 BAPS Sadhus visited the Prime Minister of India, Narendra Modi to convey His Holiness Pramukh Swami Maharaj’s blessings and prayers. Swamishri had conveyed his prayers for the nation, and for the PM to lead with compassion and care for all. His blessings were conveyed to the PM on this courtesy call by Pujya Ishwarcharan Swami, Atmaswarup Swami, Brahmavihari Swami and Gnanmuni Swami.